Here is a new twist on Q-tip painting with amazing results. 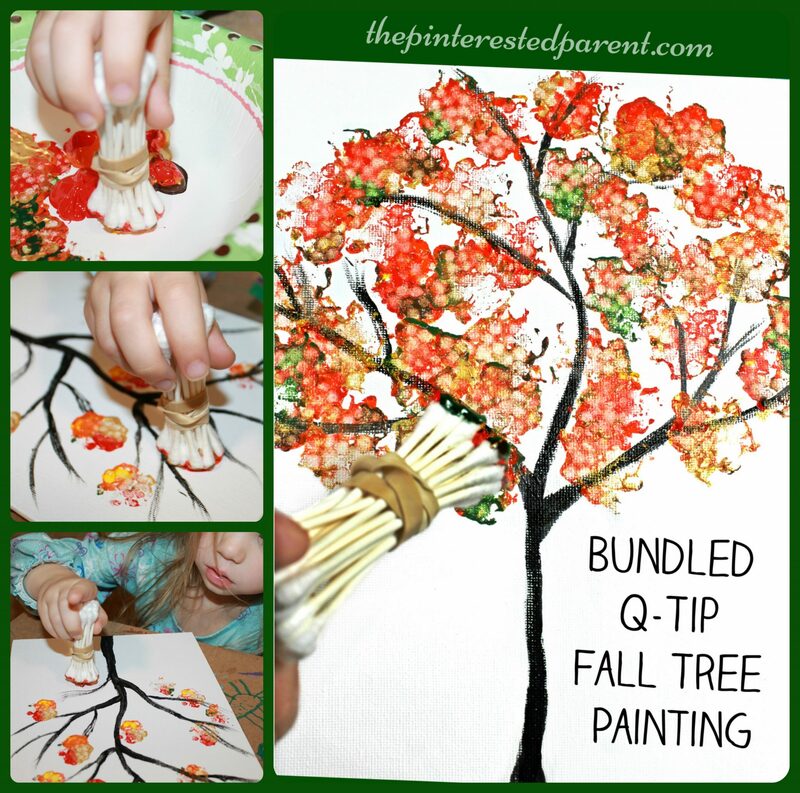 This Q-tip fall tree painting is a great idea for toddler to adults. I just can’t get enough of fall trees. I think it is the beautiful colors that draw me in and delight me. Autumn trees are one of my favorite painting subjects because of those gorgeous vibrant colors and because they are just plain fun to paint. 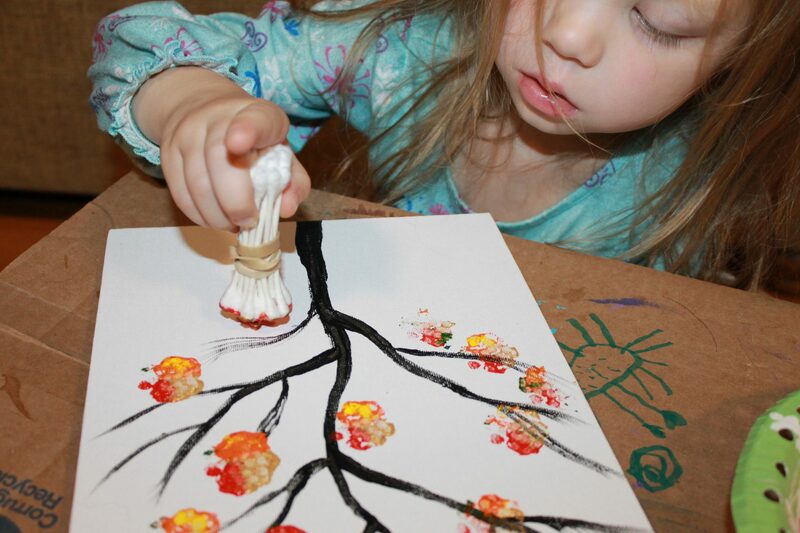 While we love the paint brush, it is always fun to experiment with different tools & methods. 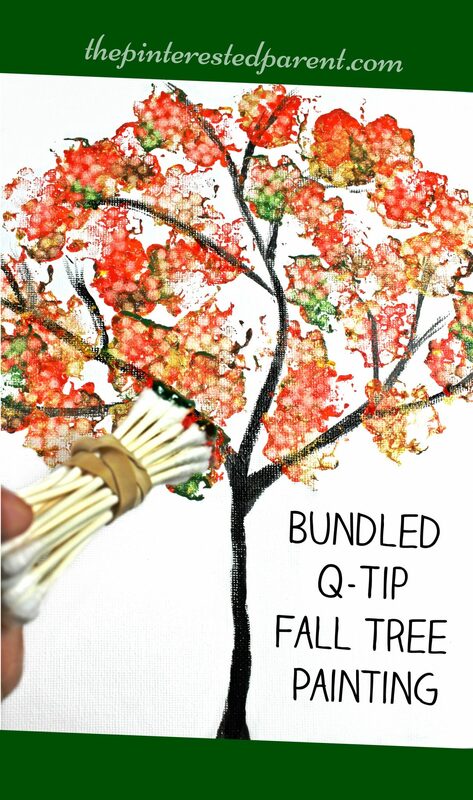 Last night, we had an idea to make a Q-tip tree, but since the swabs are so small & it can sometimes get tedious for my little girl. I tried bundling them to cover more area. I think the result was fabulous. 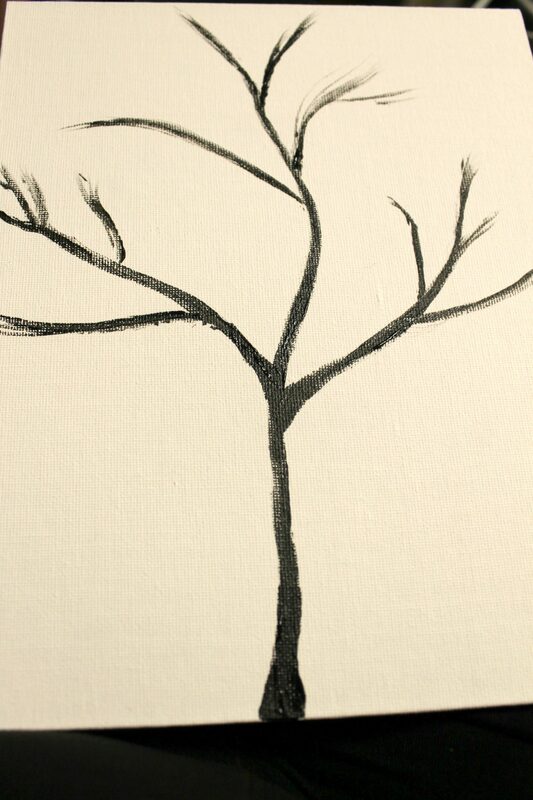 I painted two canvases with a simple bare tree on them. I grabbed a handful of Q-tips & bundled them together with a rubber band. 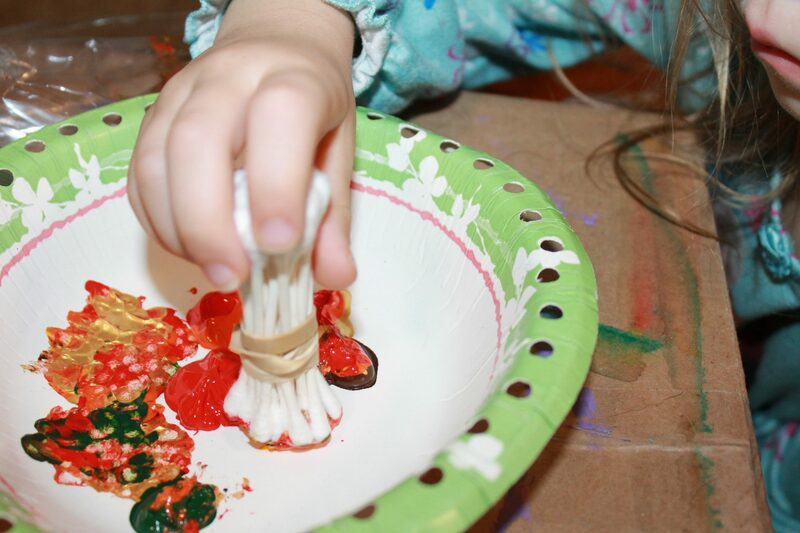 We squeezed acrylic paints in yellow, orange, red, brown, gold & green into an old paper bowl. 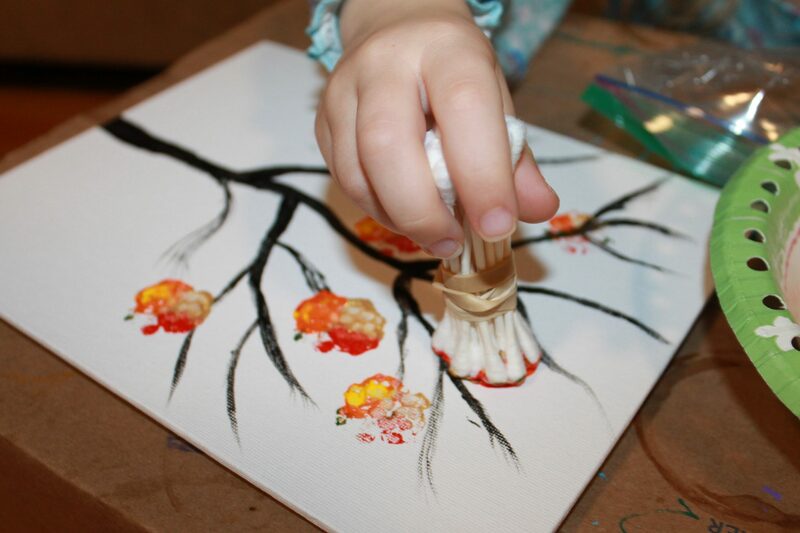 We dipped our bundled Q-tips into the different colors & pressed the bundle onto our canvas & all around the tree’s branches. Here are our finished projects. The technique looked different between the two canvases. 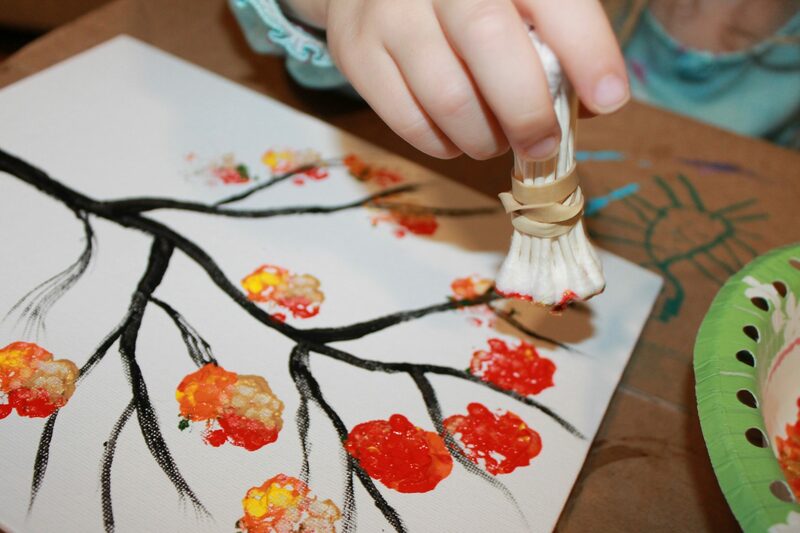 My daughter’s leaves came out more bold & vibrant by using more paint on her Q-tips & mine created softer more textured leaves using a lighter amount of paint on the tips. The results were very different, but both came out lovely. 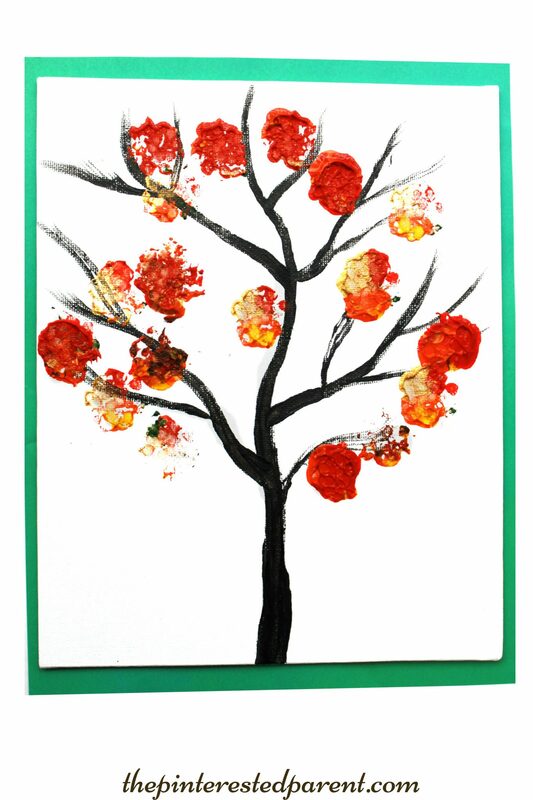 If you enjoyed this, then you might also like these beautiful bubble wrap painted fall trees or these lovely clay leaf bowls from Red Ted Art. I LOVE this idea! It works so well! I used this experience in Children’s Worship in church this morning after part of the Creation Story. The children drew their own trunks and branches. They chose the colors they wanted to paint with. They were very serious about their work. Each piece turned out unique and beautiful. A craft? I saw the process more as art with direction. How wonderful! I am glad that it worked out so well for all. 🙂 Thank you for sharing your experience. My eight year old and eleven year old boys enjoyed the Q-tip painting project! We did the trunk in brown and black pastel. 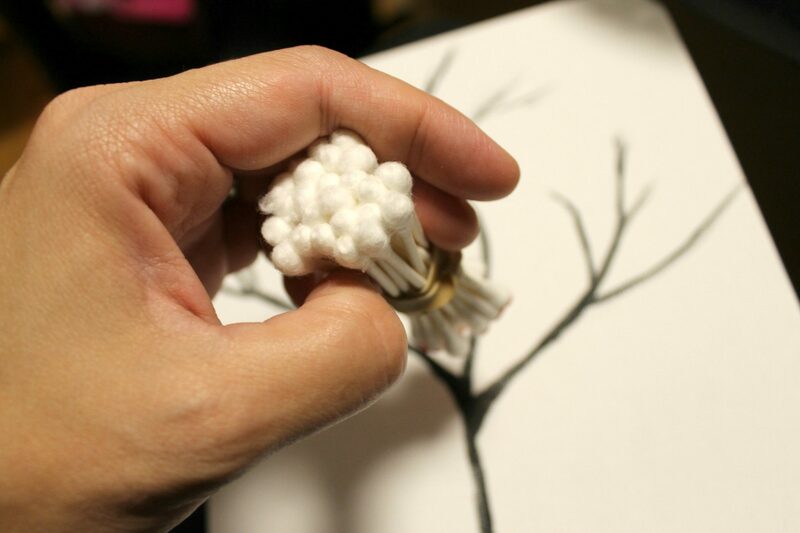 Just shared your lovely Q-tip trees with my closed FB group, Barefoot Journaling Chronicles! I know they’re gonna love it! TFS! Lovely idea!! I will do it with my little one! Lovely craft. The children will enjoy doing it. 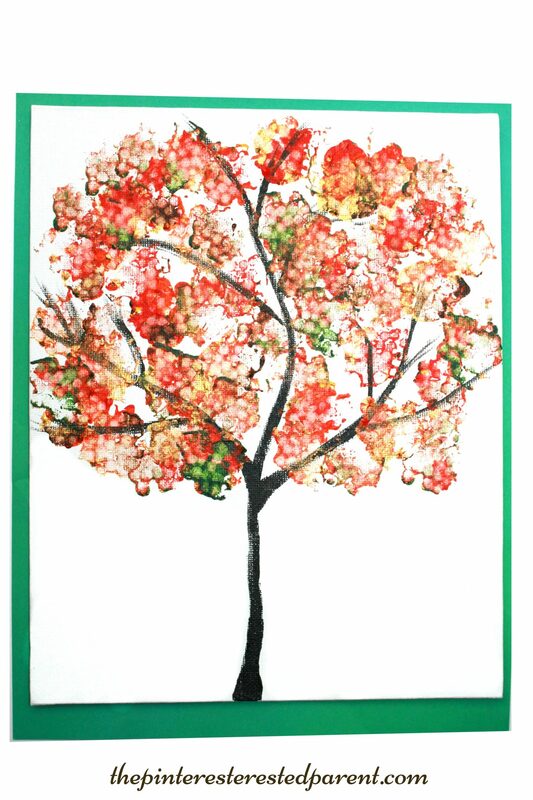 What are you using in the video to draw the trees? We used a large magic marker, but we have also used paint and a construction paper would work as well.